The following core components are essential to the Lower School program and experience. Click on each title to read more. Each child in the Lower School has a carefully written ILP that will address his/her specific strengths and needs. As letter grades are not given in the Lower School until the end of fourth grade, the ILP is used to communicate academic progress. Because young children change rapidly, goals may be added or modified throughout the school year. A student’s progress on these ILP goals is shared three times during the year in parent-teacher conferences. 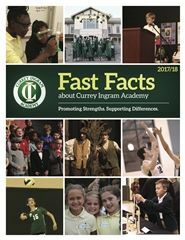 All Currey Ingram Academy students benefit from instruction that follows evidence-based practices and supports a wide range of learning differences and styles. Students are matched with the academic program that best suits his or her learning profile and needs. Language arts instruction in the Lower School comprises enrichment, remediation, explicit instruction, and appropriate levels of support. Students are taught the critical early reading skills that will help them become proficient readers. Mathematics instruction focuses on teaching the underlying concept before gradually applying this skill to more advanced problem-solving tasks. The Lower School employs a full-time school counselor who partners with administrators, teachers, staff, parents and the community to provide education, prevention, early identification, and intervention services to develop competencies in the academic, career and personal/social areas. 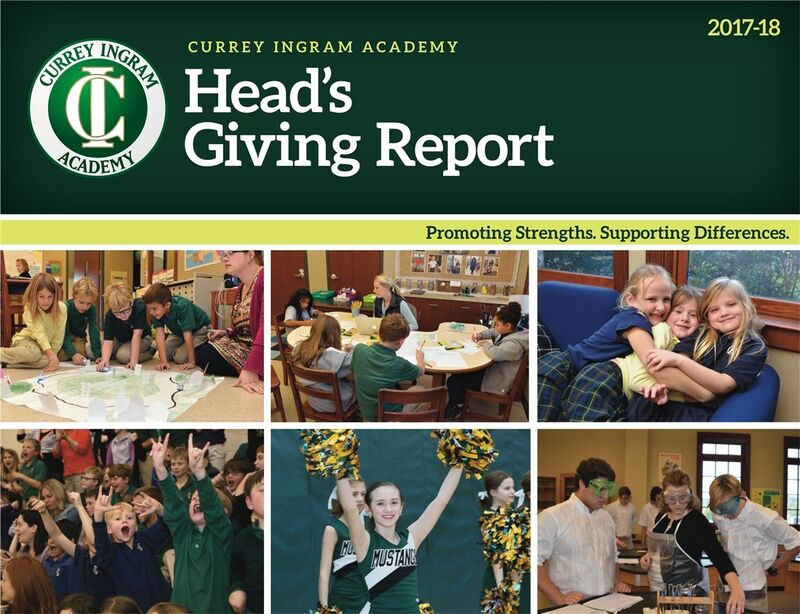 In addition, the faculty, staff, administrators and parents work collaboratively and intentionally to infuse character virtues into all components of the curriculum and school programs. Character virtues are represented through ten core character traits that are a part of the program and character language is embedded in instruction, discussions and positive behavior support plans. Digital citizenship, the ability to engage in digital media in a safe, responsible and respectful manner, is taught in connection with the Lower School character education program. Science and social studies instruction in the Lower School fosters and encourages problem solving and reasoning skills, imagination, experimentation and exploration. Students use state-approved social studies (Scott Foresman) and science textbooks (SRA/McGraw Hill). Material is presented through direct teacher instruction with multimedia support and integrated technology activities. In addition, all Lower School students participate in one weekly hands-on science lesson in the Discovery Lab. 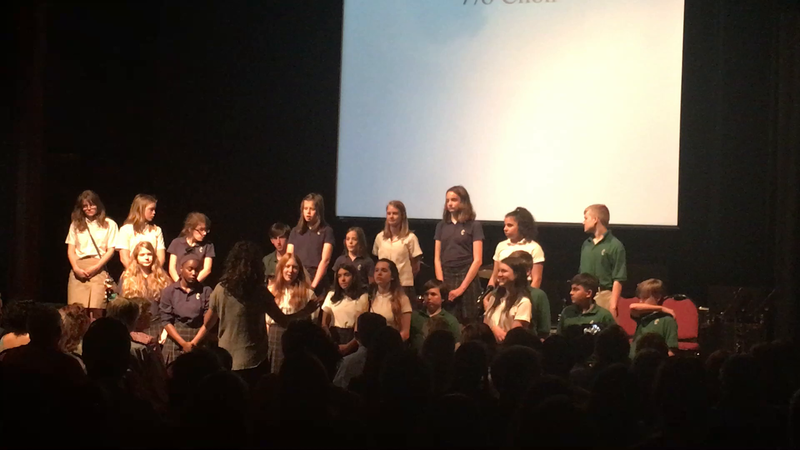 The classes in the Lower School do not solely rely on lecture, textbook and worksheet format. Although these instructional methods may be employed as a part of a lesson, students are fully engaged in multisensory activities as they learn new skills. In addition to explicit and direct instructional techniques, Lower School teachers frequently employ “strategy instruction” for students who struggle to apply newly learned concepts and skills. Research indicates that the combined approach of direct explicit instruction and strategy instruction has a significant impact on student performance. All students in the Lower School participate in enrichment classes that are aimed to enrich their learning. These classes include Art, Creative Drama, Music, Library (K-2), LibTech (3-4) and Discovery Lab. Afterschool clubs are also offered that provided additional opportunities in some of these areas. If it is determined that a student needs speech and/or language services to support a child’s learning, these services are provided directly by a speech-language pathologist (SLP) or indirectly through SLP consultations with teachers and parents. Areas addressed may include auditory comprehension and processing, articulation, word retrieval, vocabulary, grammar and sentence structure, and pragmatic language/social skills. The Lower School employs a full-time occupational therapist (OT) who provides integrative group occupational therapy services within each Lower School homeroom as well as teacher consultation to all Lower School faculty. Students may receive additional support from the OT in the areas of assessment (fine motor, gross motor, and visual-motor integration) and additional group OT intervention. The Lower School handwriting curriculum utilizes a consistent, multisensory approach to build the foundational skills needed for handwriting performance. A visual, auditory and kinesthetic approach is used to establish each student’s visual and motor memory skills necessary for automatic handwriting. Additional small-group instruction is provided three times per week to all third- and fourth-grade students in their area of greatest need. Tutorials may focus on pragmatic language, receptive and/or expressive language, math, written language, social skills, social problem solving, reading comprehension, reading fluency, vocabulary development, or other identified areas of need. Tutorials begin in October and continue through mid-April. The physical education program is designed to promote healthy lifestyles and the enjoyment of physical activity. Students in kindergarten through third grade participate in P.E. for five 30-minute sessions per week, while students in fourth grade participate in four 45-minute P.E. sessions per week. Afterschool sports may include cross-country, basketball and soccer. Teams are formed according to student interest and the number of enrolled students. Lower School students participate in technology and digital projects that are integrated throughout the instructional day. All Lower School students participate in a one-to-one iPad program. iPads remain at school and are used throughout the day to support student learning. Students also receive technology instruction in the classroom to acquire the necessary skills to complete academic and social projects. Students are encouraged to become actively involved in reaching out to others through school-wide, classroom, and individual community service projects. Multiple opportunities are provided throughout the year including activities such as a canned food drive and a hat and mitten collection. To accommodate working families and provide structured extracurricular activities for students, the Lower School offers an in-house aftercare program called Boost. The program provides afterschool childcare as well as supervision for students in study hall, enrichment activities and clubs.